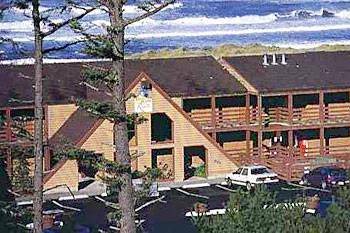 The 2010 ZGWS Convention to be held in Gold Beach, Oregon. 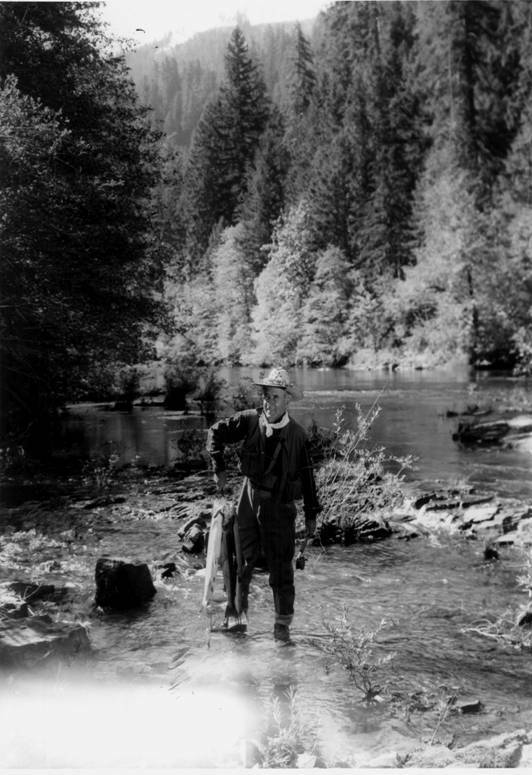 The Rogue River in Oregon was one of Zane Grey’s favorite fishing spots. In fact, he loved it so much that he purchased an old mining claim at Winkle Bar, and built a cabin to support his fishing trips on the River. In Zane Grey’s book “Tales of Fresh Water Fishing”, there is a chapter called Down River. It tells of a trip he took with his son Romer and others down the Rogue from Galice to Gold Beach. These were the old wooden river running boats. They made it all the way, thru all the rapids they encountered. Now it’s your turn to run the Rogue and you won’t have to row (with any luck). Monday, June 21 Afternoon Check-in and Registration. Tuesday, June 22 Early Morning Memorial Breakfast. Boat tours up the Rogue River from Gold Beach. Contact Todd Newport at tnewport@cableone.net if you need any more information. So, come to Oregon in 2010- you won't be sorry! As many of you know, for some time, we’ve been scheduling small trips of interest for the couple of days after the annual convention. These typically are more “rustic” or “physical” activities. We’ve gone to Trapper’s Lake in Colorado, Crater Lake in Oregon (1999), Grand Tetons in Wyoming, Rainbow Bridge in Utah / Arizona, Monument Valley in Arizona, and stayed at several lodges in Glacier National Park. For this year, in Gold Beach, OR, we’re being a little looser, not particular planning any organized activities, but we are suggesting some possibilities. Right now, the plan is that for anyone that is interested, we’re going to try to spend Saturday night BEFORE the convention at Crater Lake Lodge (6/19/10), in Crater Lake National Park. If you want, you could also spend Sunday night there and drive over to Gold Beach Monday morning and get there in time for convention registration. We believe that it is about a 4 hour drive from Crater Lake to Gold Beach, but confirm this for yourself. We will ask that you make your own reservations. The number to reserve a room is 888-774-2728. You can also reserve on line at https://www.craterlakelodges.com/ . The lowest priced room is $159 plus tax for 2 people and they charge you when you make the reservation. (For view rooms it goes up from there). You can cancel with a refund up to 2 days prior. This is at the Crater Lake Lodge on the rim. There is also the Cabins at Mazama Village. This is located about 7 miles from the lake, but is still inside the park. The same company, Xanterra, runs both locations. So if someone is looking for a lower rate or the Lodge is full they can ask for the Mazama. The above is for Saturday night before the convention. After the convention, a group of members is planning on hiking into Winkle Bar, on the Rogue River on Saturday (6/26/10), to visit Zane Grey’s cabin. We will use Friday (6/25/10) as a travel day. We are trying to stay at Marial Lodge, on the Rogue, but they will not be able to commit to us until late March, due to contractual agreements they have with a local outfitter. If we can’t get into the lodge, we will probably have to stay in Grant’s Pass (about 2 hours away) and drive there early Saturday morning. Now, it is our understanding that this hike is not for the faint of heart. Apparently, it is very steep hiking down to the river, then it flattens out. The normal hike is 5 miles ONE WAY. There is a possibility of a short cut that is only 2.5 miles one way, but this is not clearly understood at the moment and we’re not counting on it. From what we understand, this hike is much more difficult than the hike we took last year at Canyon de Chelley, and more difficult than the hike we took a few years ago at Betatakin, Navajo National Monument. So, while we are inviting anyone to go that is interested, we also want you to consider the difficulty of this hike and make sure you are in good enough physical shape to undertake a 10 mile round trip hike. If you are interested in going on this hike, please contact Todd Newport at (928) 273-0299 or tnewport@cableone.net and let him know as soon as possible. If you don’t think this hike is good for you, there are other options within several hours drive. Steamboat Inn, on the Umpqua River, is between Grant’s Pass and Portland. There are large Redwood groves in northern CA, not too far from Gold Beach. A little bit farther away and east is the location of Forlorn River, along the CA – OR border. As you can see, the Oregon area has a lot to offer and it’s going to be a great convention! The 2011 ZGWS Annual Convention will be held in Williamsburg, VA.